Italian spin on the American donuts, although possibly it is the donuts that are an American spin on the Italian Zeppole, dating far back to the Middle Ages. This fried choux pastry is traditionally prepared on March 19th, St. Joseph Day (la festa di San Giuseppe), also Father's Day in Italy. And Rosanna is ready for you with her recipe! 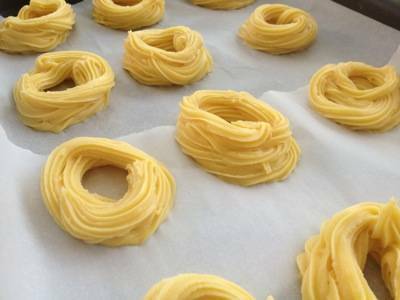 Recipe for 20 Zeppole Ingredients: Cold water (2 cups) Margarine or butter (125g / 5 oz) Wheat flour (250g / 8 oz) Eggs (6 whole) Baking powder (1/2 packet) Pinch of salt. -Pour the water into a pan, add the salt and margarine (or butter). -Bring to a boil, then add the flour and sprinkle in the baking powder. -Mix with a wooden spoon until it takes a round shape, forms a sort of ball. -Let the mixture sit in a bowl for 10 minutes. -Add eggs (2 at a time) and mix with an electric mixer for about 10 minutes. -Prepare a baking sheet and cover it with wax paper. -Use a pastry bag with spout to form rings layering them on top of each other directly on the baking sheet. -Place in a 350 deg preheated oven (it's very important that the oven is hot) for 25 minutes. -Boil the milk in a saucepan. -In another deep pan, off the heat, place the egg yolks, sugar and stir with a wooden spoon to achieve a soft texture. -Add the flour and continue stirring. -Add the boiling milk to the mixture, pouring it a little time, and mix everything together on low heat for 5 minutes. 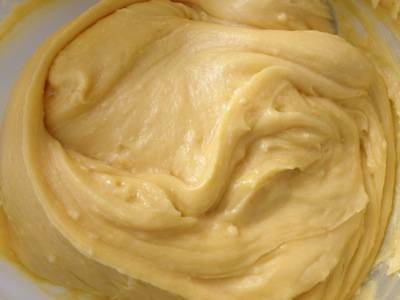 -Pour the ready cream into a bowl and add the vanilla stirring occasionally. 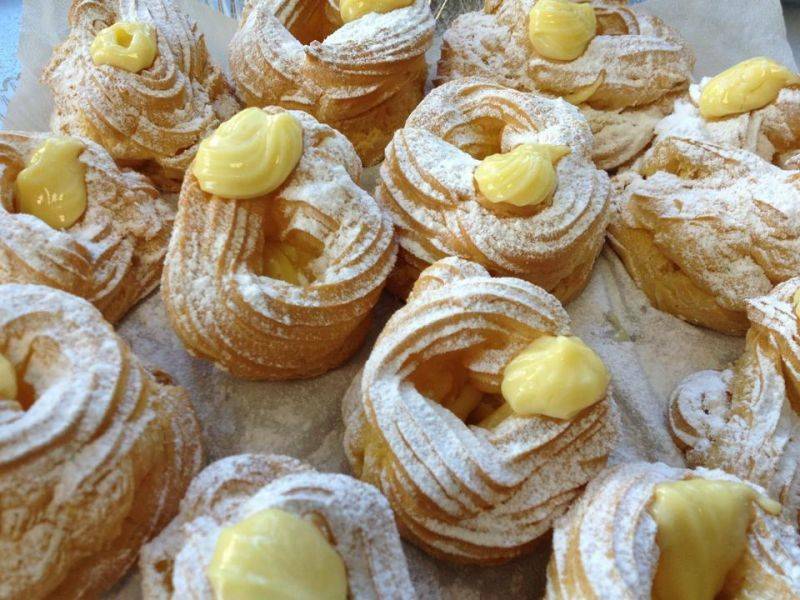 -Once the zeppole are baked, let them cool and cut them in half, horizontally and fill with cream. -Dust with powdered sugar and serve.